I'm feeling really good these days. I haven't been giving a full recap of eats, but I have been sticking to my morning smoothies and trying to make healthy dinners. I've been mixing it up at lunch, but I'll be writing about that later this week. The scale is moving down again, but to help it along, I'm coming up with a new, healthy eating plan to get myself back on track. Summers are the worst when I'm trying to stay on track. All the socializing, drinking and bbq'ing does not help a girl diet. 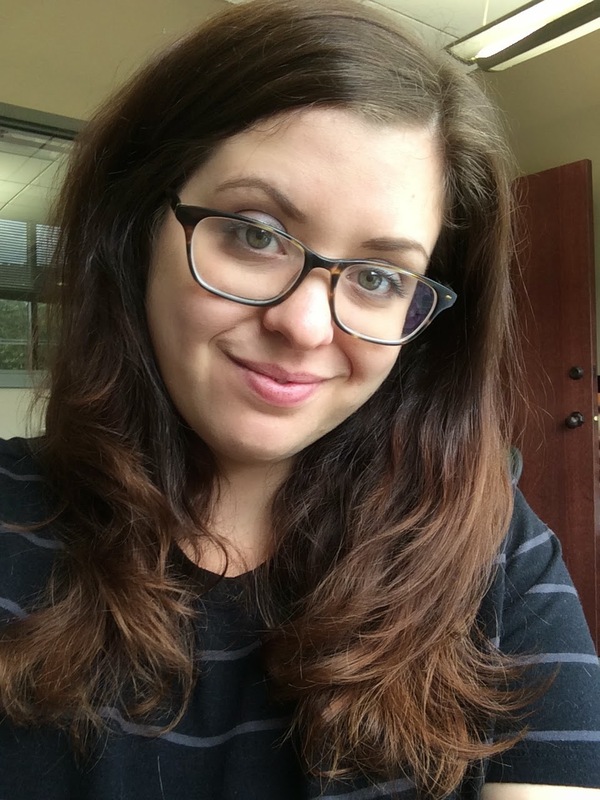 The Arbonne Detox was wonderful, but I've let myself slip a lot in the past few months. 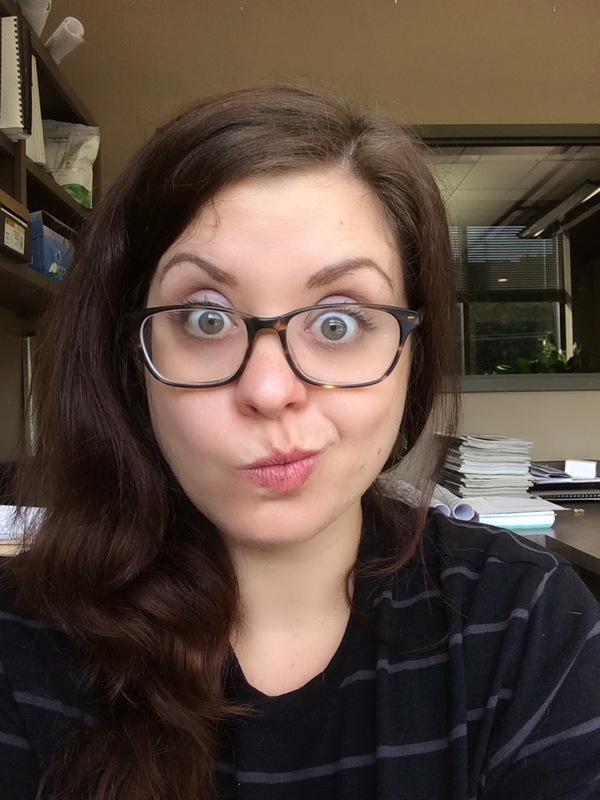 Recently, I got very motivated by an episode of Good Eats. 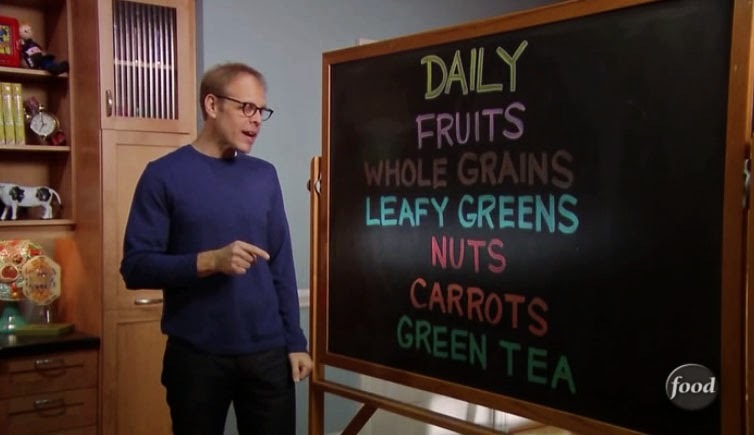 In the episode, Live and Let Diet, Alton Brown describes the rules he stuck to in order to lose 50 pounds. They're sensible, scientific and easy to follow. He has a philosophy about food that I really enjoy, which is fill your diet with good things, and you won't have room for all the bad. He details items you should eat every day, eat a few times a week, eat once a week, and never eat. Of course, his aren't vegan, but you can tailor it to you. 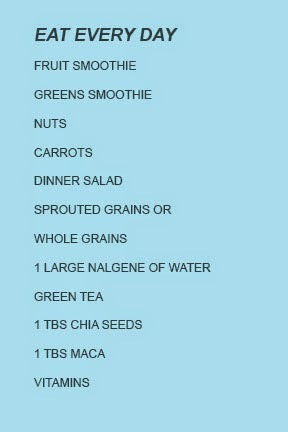 These are his items to eat every day, and I think they're great. I've decided that green tea can be a wonderful part of my diet, and although it has caffeine, I'll be having a glass every day. Alton's weekly foods are pretty great too. 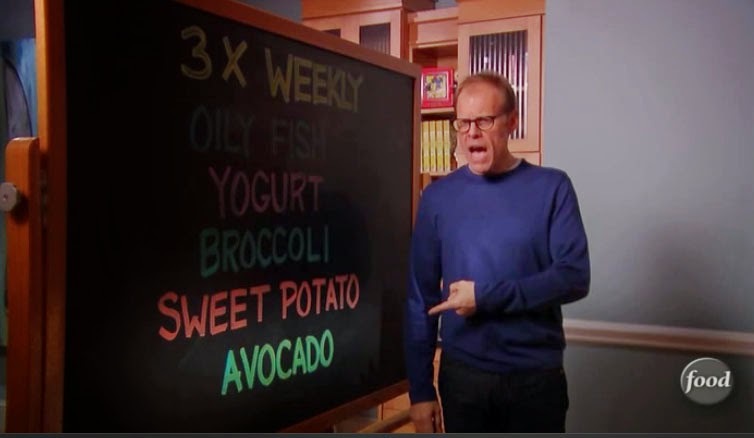 Now, I don't eat oily fish or yogurt, but I think broccoli, sweet potatoes and avocados are a great part of any diet. His once a week is the real key to my plan. 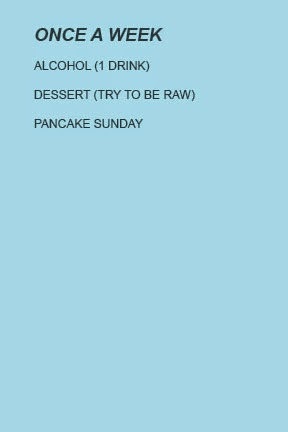 Instead of trying to cut alcohol or pancake Sundays completely, they should be relegated to once a week. That way, you get to indulge, but not too much. I think that's pretty key for any long term plan. This isn't a "diet" in the modern sense. It's a way of living. His nevers are spot on, too. I don't really drink soda or eat fast food, and canned soups give me a stomach ache. So, these are pretty easy to stick to. After all of this, I developed my own rules! Perhaps the best, and most fun, are the "eat every day" foods. Since I'll be trying to cram in all these great foods, I won't have any room for junk. 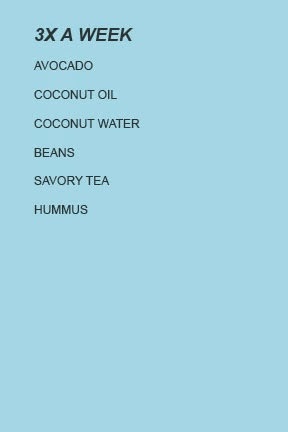 I will be trying to get in healthy fats a few times a week. 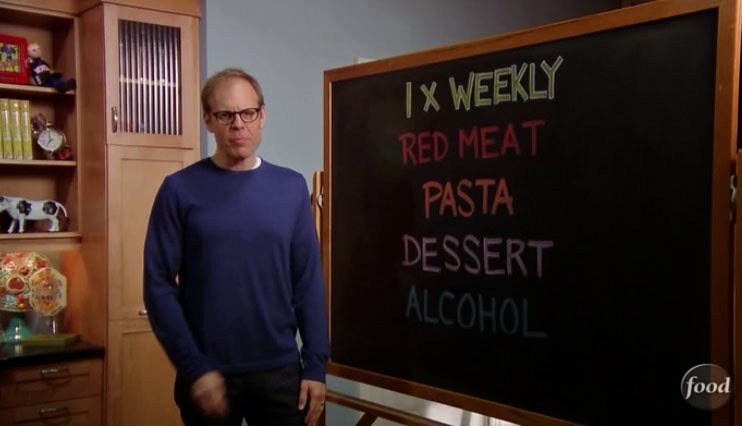 I have no real problem getting in the "eat every day" column, it's the have only once a week that will be the tough part. I need to save my treats for once a week. 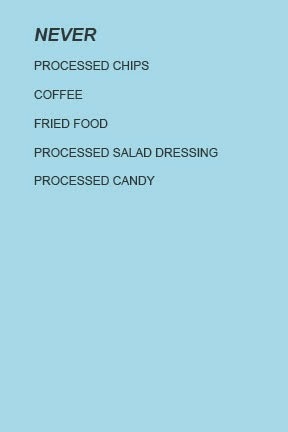 I have identified my "never" foods this year as things to stay away from, so I don't think that will be a problem. So, that's what's going on with me. I'm feeling great, working out, and eating moderately well. How are things going with all of you? I'll be posting some food recaps in the next week or so of things that are not as "diet" friendly, but after those, I'm going to try to focus on some really healthy meals to kick off the summer. Sounds like a plan. But I would never be able to live without fried food and chips! :-) But I know you can do it. You have a TON of willpower. Glad you're leaving room for a drink and pancakes!! i love fried food and chips too. haha. too much. i should move them into the once a couple month category. a girl has to get down on mexican food every now and then. 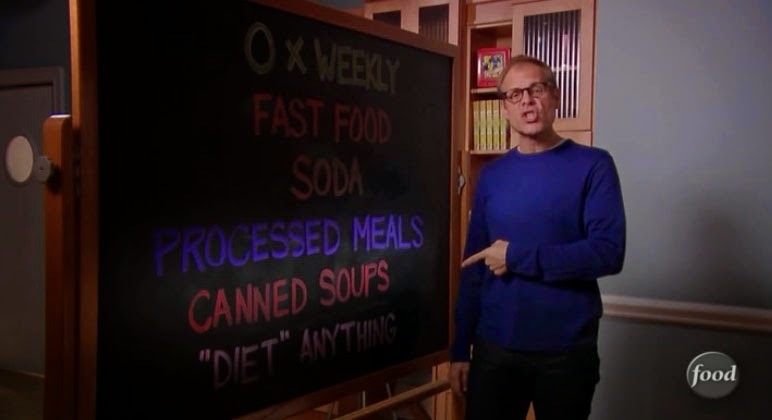 I love Alton Brown!! I need to find this episode online and watch it. I love your personalized lists too. I think Drew and I are going to do something similar. We need a reset fo sho! the episode used to be on hulu for free, but i couldn't find it again when i was writing this up, so i bought it on amazon for a few bucks. it was a good one. i love alton. he's so geeky! it's easy to get off track, especially in the summer.